We were tired of the whole "chrome your supercar" thing — until we saw this one. It's a Ferrari 458 Challenge hitting the track at this week's Cavalino Classic Ferrari and Maserati festival, shining in the Florida sun. 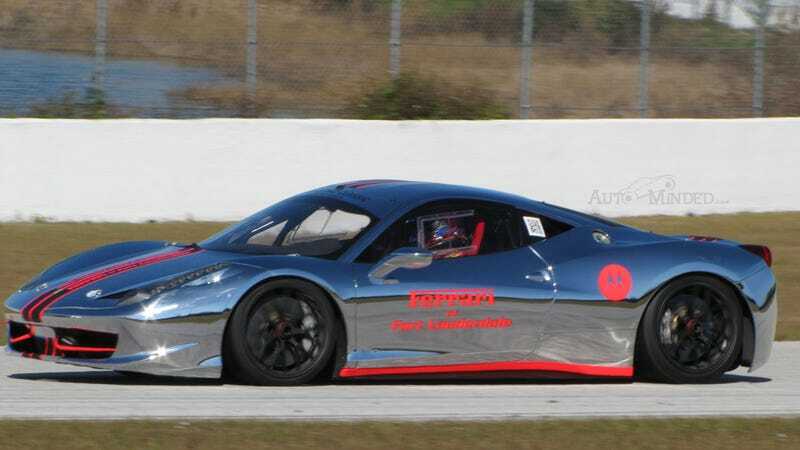 Autominded tells us the chrome Ferrari belongs to Ferrari of Ft. Lauderdale, who actually raced the car in last year's 458 challenge series in a red, white, and black scheme. We can't believe we're saying this, but it might actually look better in shiny chrome.